The AeroHippus Respiratory System provides a simple, easy to use way of treating horses who are on inhalers for respiratory issues. Designed by a veterinary specialist, it's cost effective & portable. 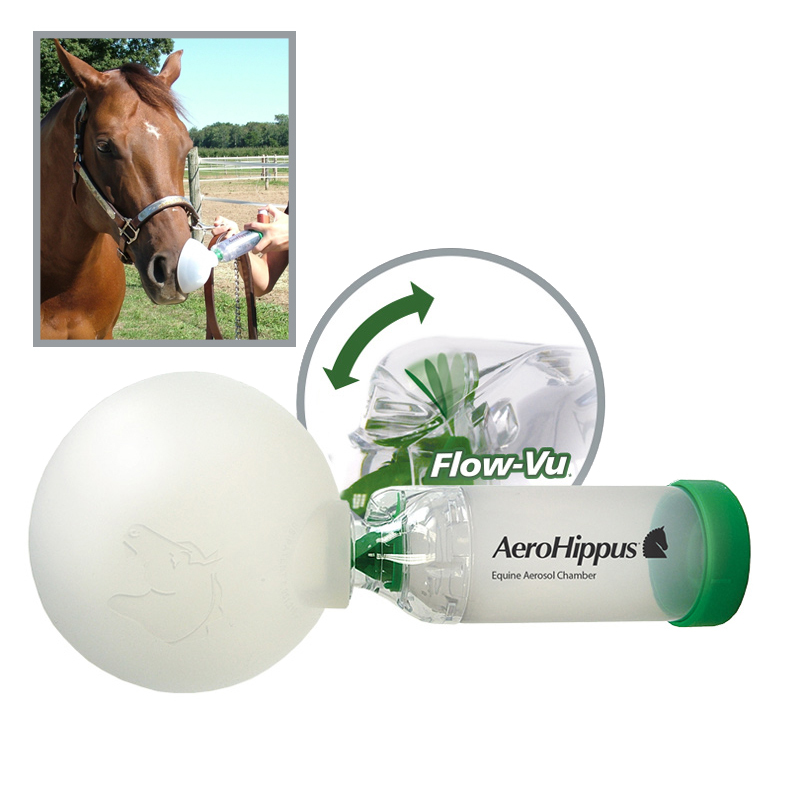 The AeroHippus Respiratory System has a specially patented "Flow-Vu" system, that enables you to see when your horse is inhaling the medication effectively. It also benefits from an anti-static chamber body, that gives greater availability of medication. The Aerohippus is suitable for MDI (metered dose inhaler) medication only, if you want to nebulise medication for your horse, the Flexineb will be more suitable. Inhalers are sold separately.